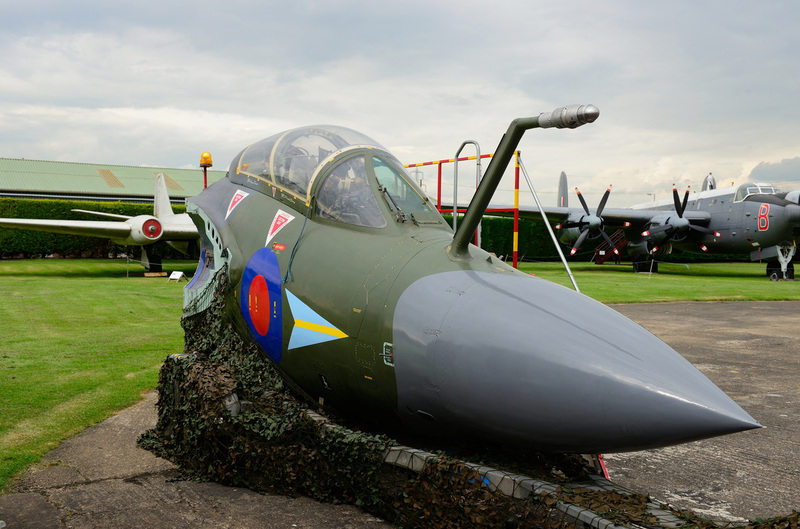 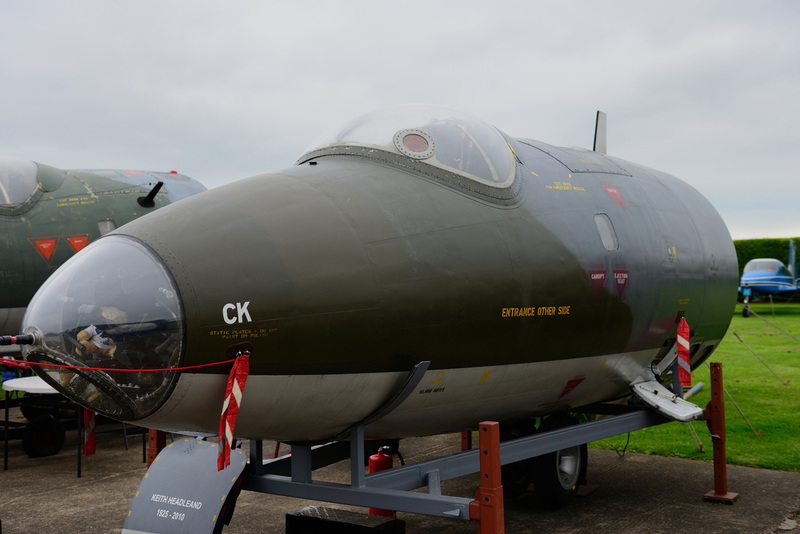 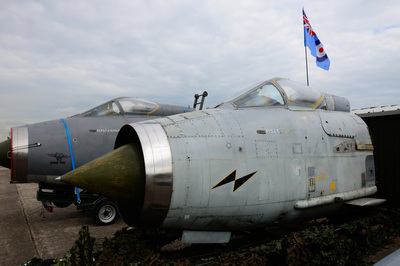 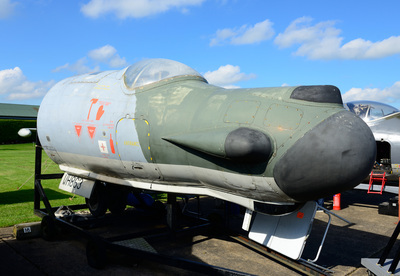 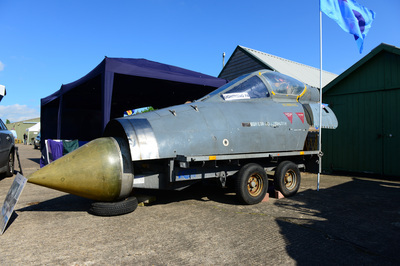 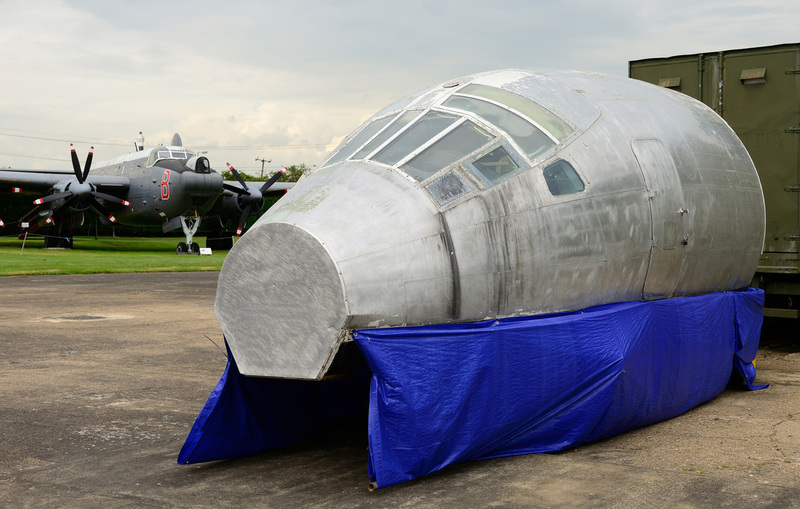 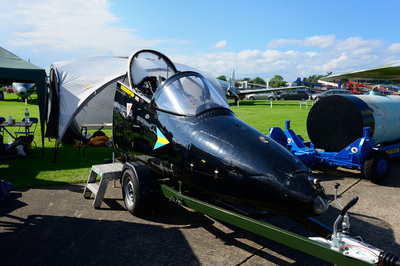 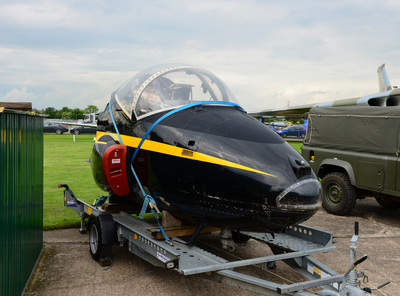 This years Cockpit Fest was held over the weekend of 14 & 15 June 2014 at Newark Air Museum. 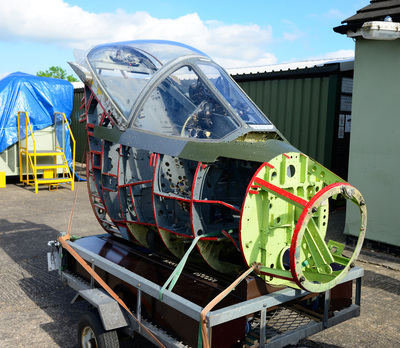 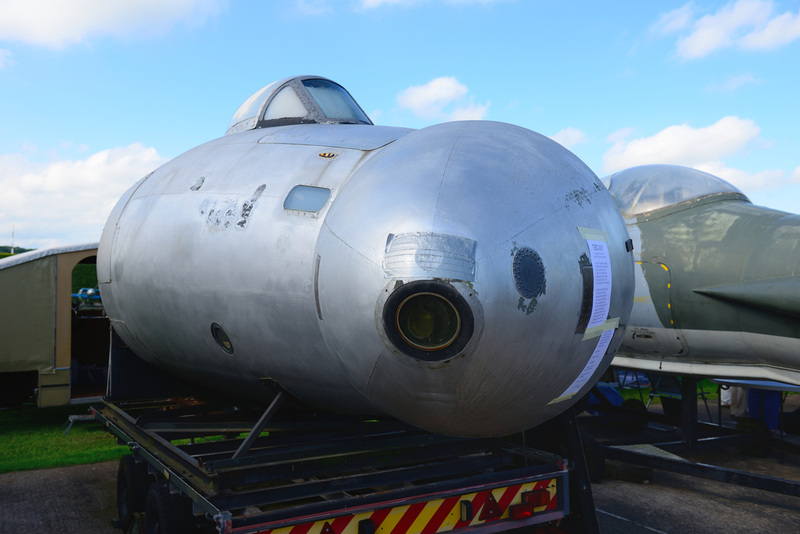 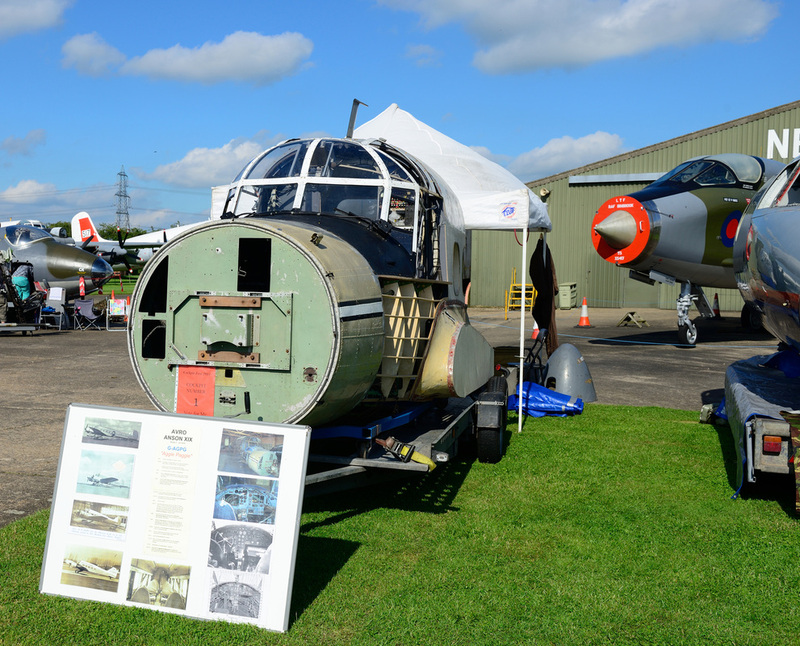 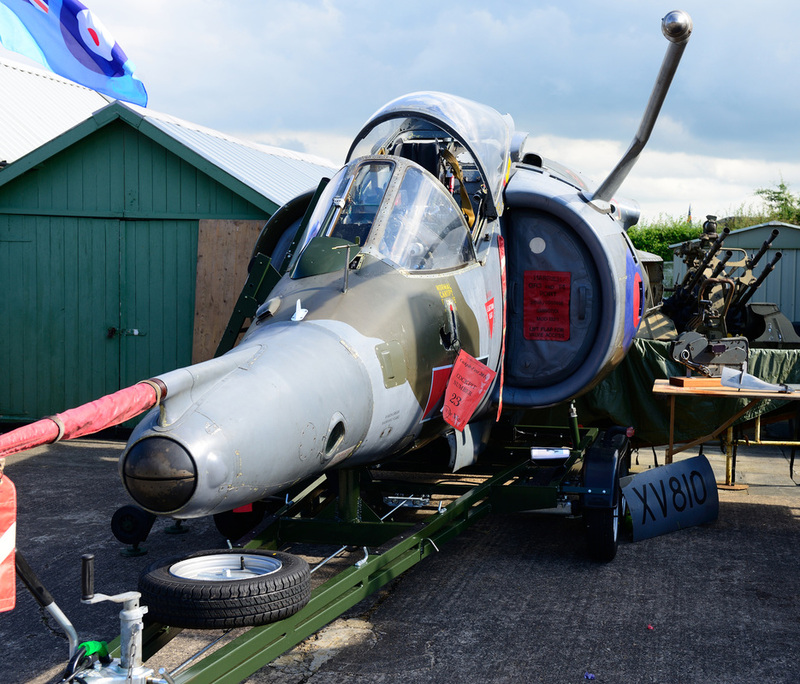 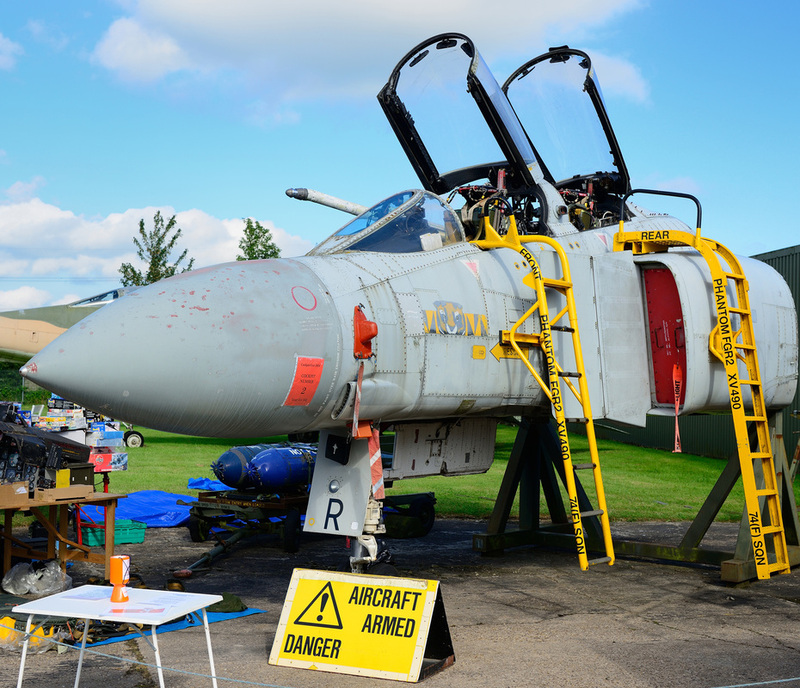 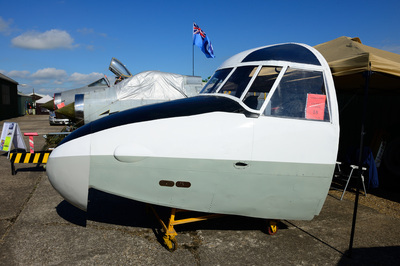 The Event brings together enthusiasts from all over the country and also beyond UK shores, to share, network and enjoy the hard work put in by those keen to preserve aviation history. 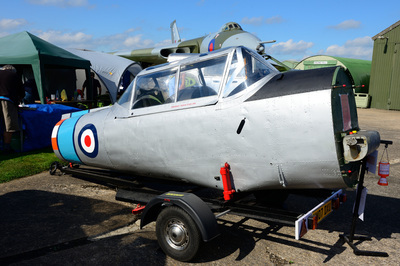 As ever a good selection of cockpits were on display, some for the first time. At the end of the event on the Sunday afternoon, Ken Ellis in his unique style awarded a number of prizes for both cockpit and non cockpit exhibitors. 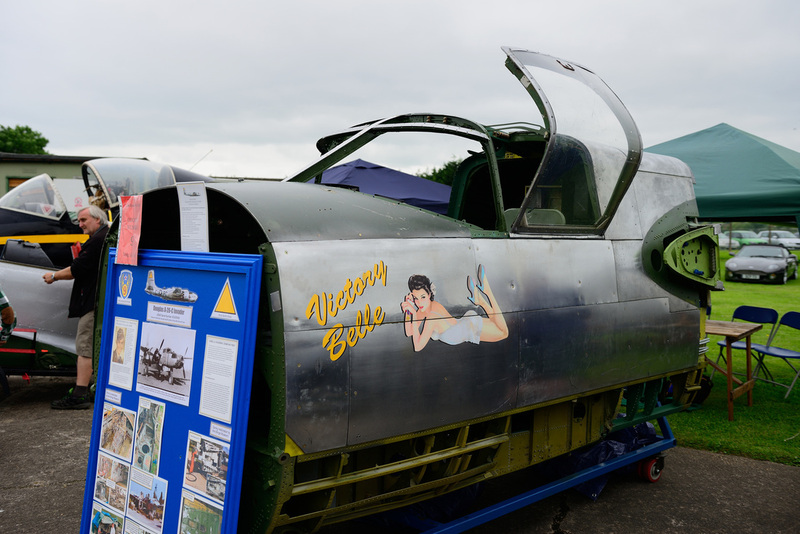 Supplementing the external exhibits were a number of internal displays within Hangar 2 along with an Aeroboot sale, which was a great place to pick up those elusive aircraft parts. 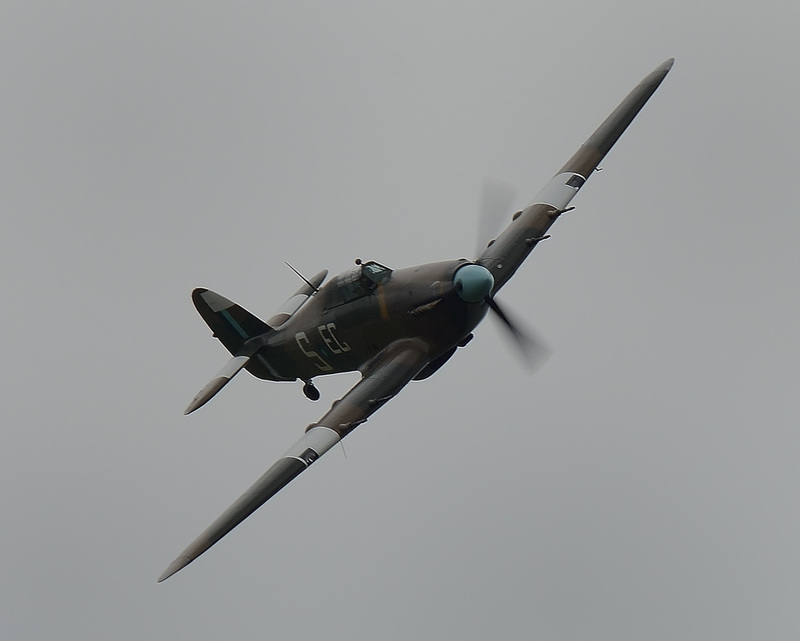 On both days a flypast was made by the Battle Of Britain Memorial Flight Hurricane (Saturday) and Spitfire (Sunday). 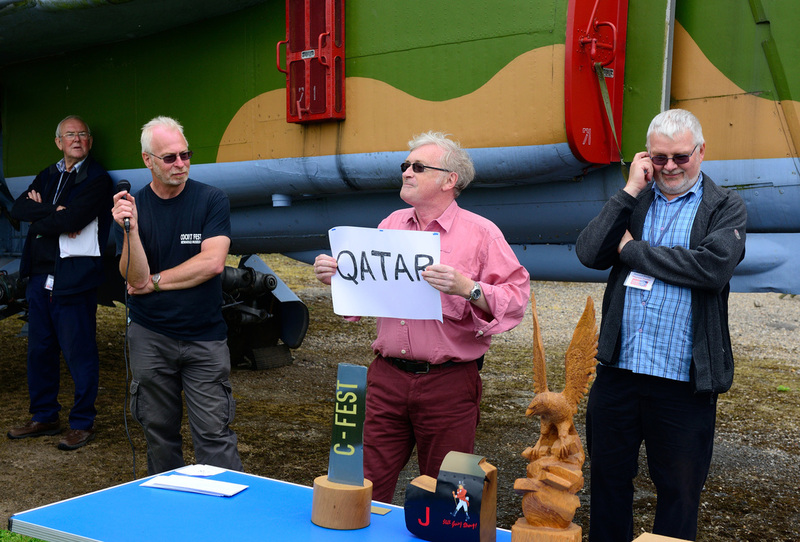 Ken Ellis in his unique style awarding the prizes. 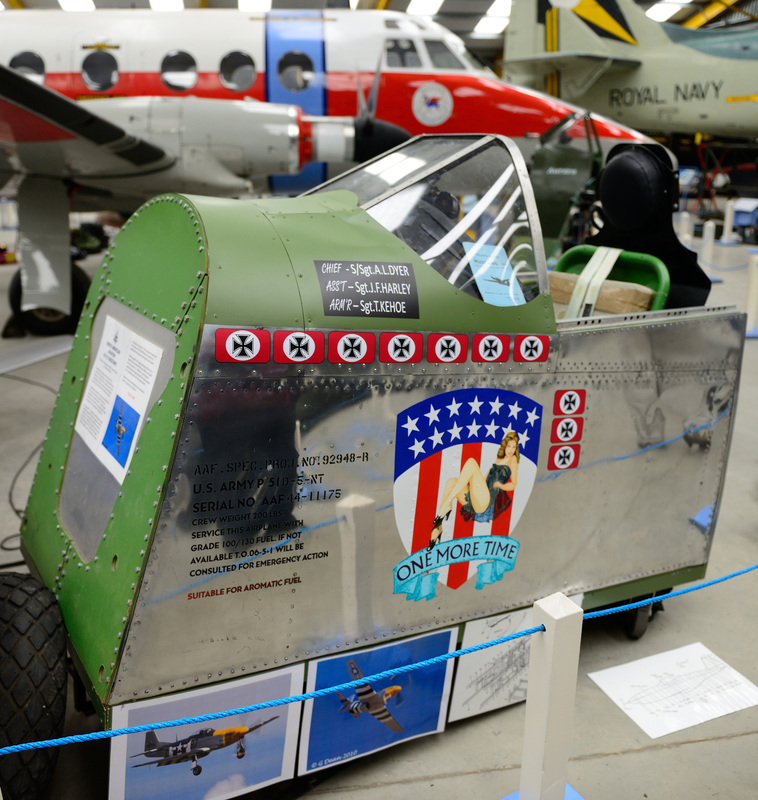 This superb scratch built cockpit has been constructed by Gary and numbered to represent the aircraft of Sam McKenna. 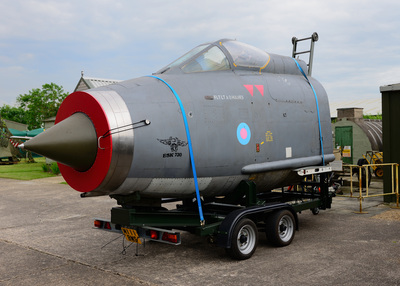 Sam was killed whilst flying 44-11175 from Boscombe Down. 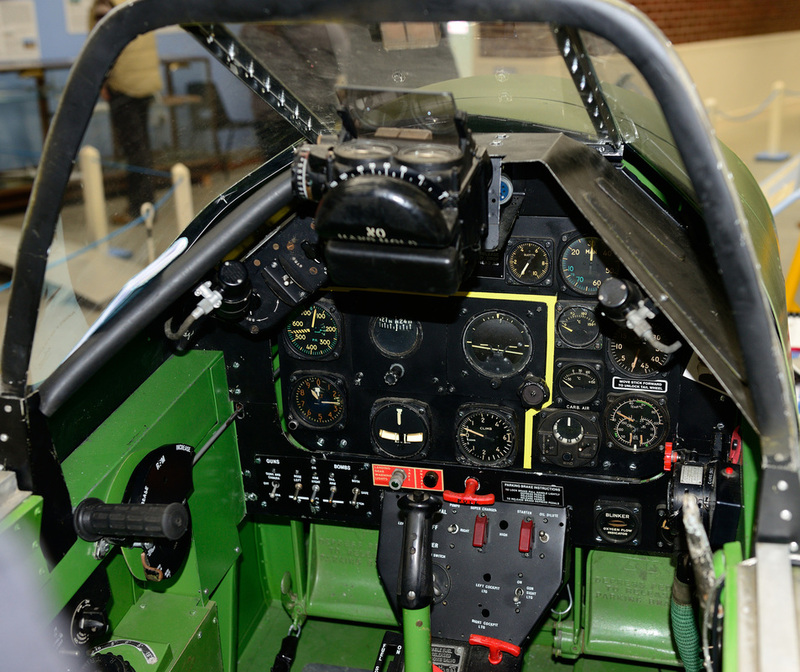 Incorporated within the cockpit is the canopy winding handle from Sam's aircraft. 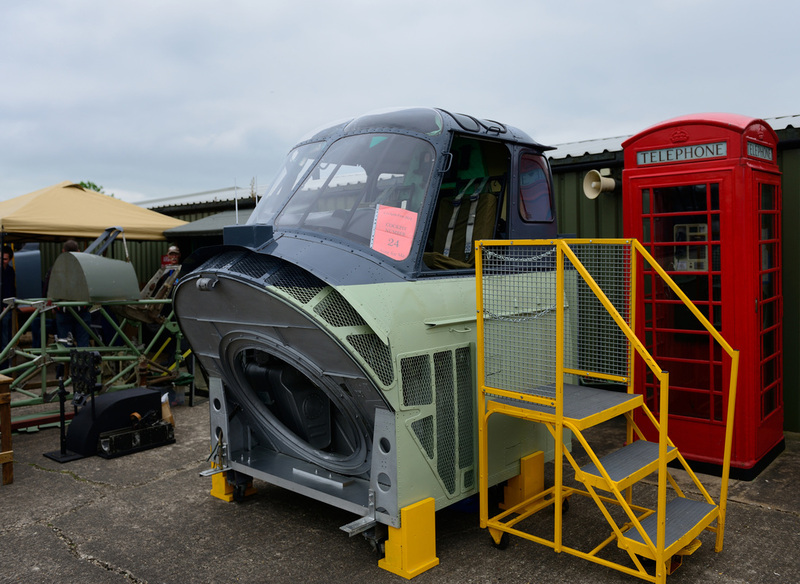 The build is a truly hands on experience. 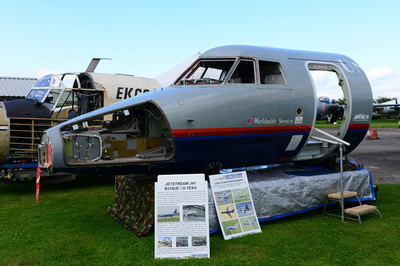 Once seated within the cockpit Gary will talk you through the engine start up sequence and when done will ask you to open the throttle to hear the wonderful sound of the Packard Merlin on full chat. 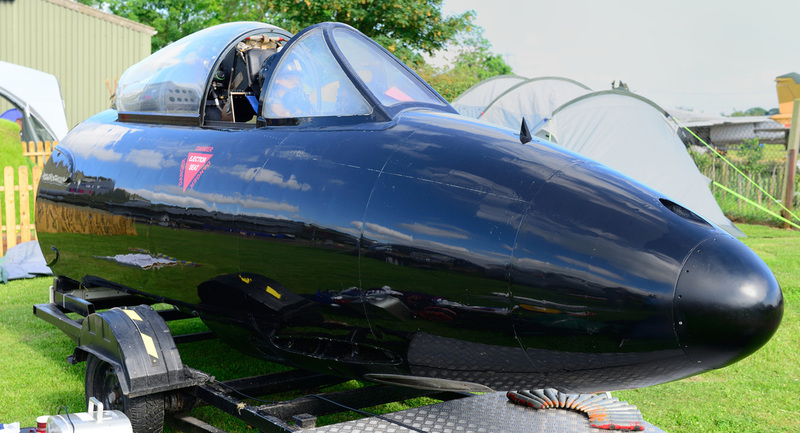 Gary's interest and knowledge for the Mustang knows no bounds and his enthusiasm is infectious. 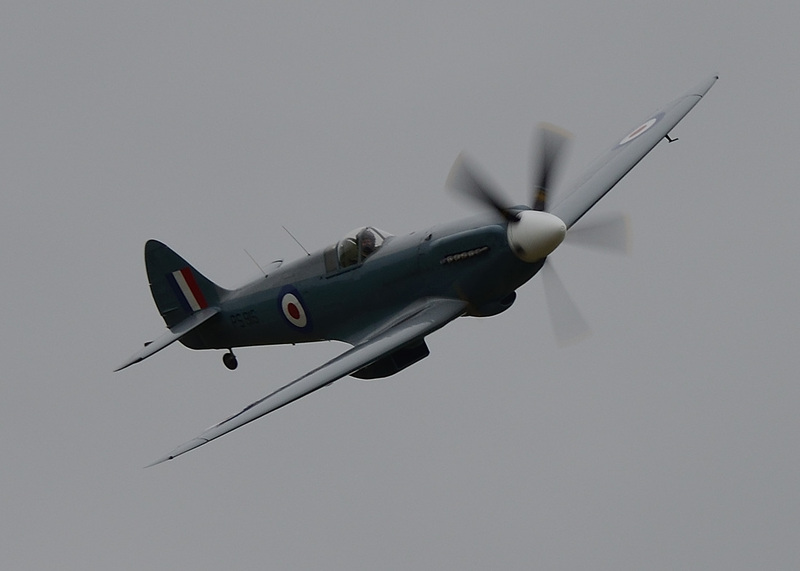 On opening the throttle I was whisked off to an era when the Mustang ruled the skies in those times 70 years ago. 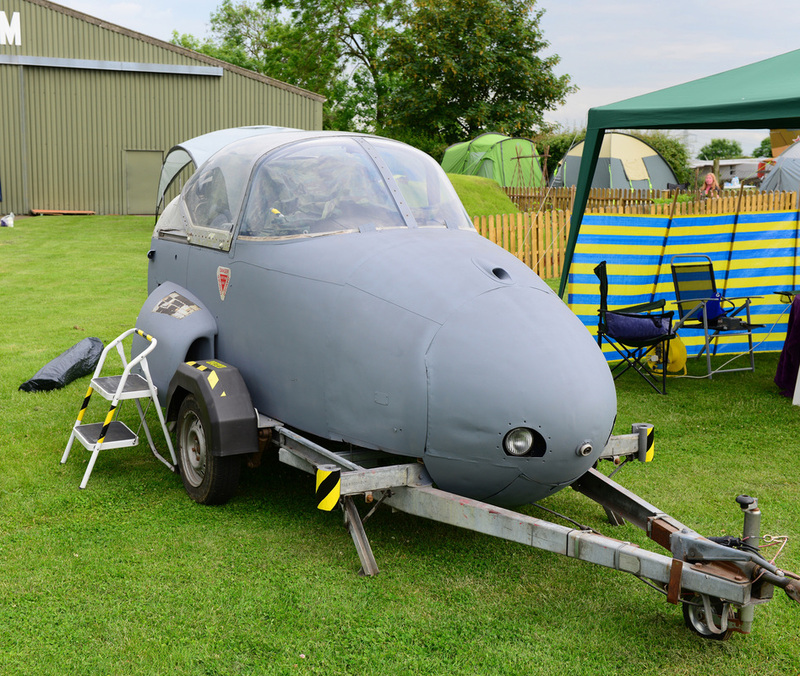 Each year Cockpit Fest like a fine wine improves so a big thanks go to the organisers who always pull off a superb event that is enjoyed by so many.